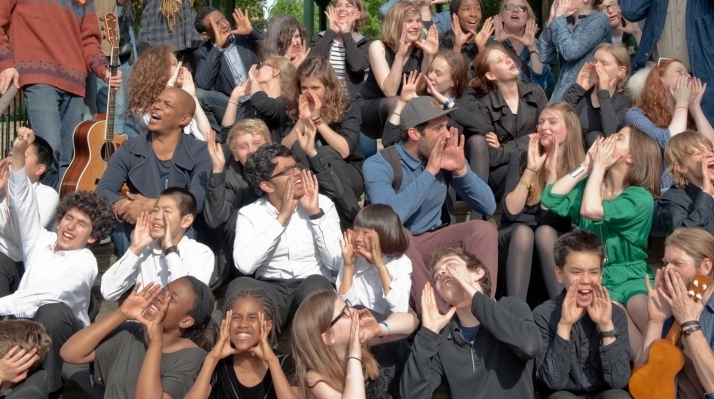 On Saturday 21 June 1,000 Londoners will take part in Crowd Out at Arnold Circus, an extraordinary new piece of music by composer David Lang to be performed on the last day of Spitalfields Music Summer Festival. The texts all come from things people reveal on the internet about how they feel about being in a crowd - and every sentence begins with the word "I" because that is what interests me about being in a crowd, how you keep or lose your ability to be an individual. The idea of 1000 people yelling "I AM ALONE" somehow makes me very happy. Could it make you happy too? More voices are needed. To be part of Crowd Out email crowdout@spitalfieldsmusic.org.uk or ring 020 7377 0287. Spitalfields Music Summer Festival takes place 6-21 June 2014.